The Centre congratulates Nicole McPherson on being awarded her PhD for her thesis entitled “The effect of diet and exercise interventions for the treatment of male obesity induced sub fertility.” for which she also received a Dean’s commendation. Nicole undertook her thesis in the Gamete & Embryo Biology Group, Centre for Reproductive Health, Robinson Institute at the University of Adelaide supervised by Dr Michelle Lane, Dr Tod Fullston, Dr Hassan Bakos and Emeritus Professor Setchell. Nicole was supported by an Australian Postgraduate award and a Freemasons Prospective Lodge Medical Scholarship through the Freemasons Foundation Centre for Men’s Health. Approximately 80% of men who present to fertility clinics are classified as overweight or obese. 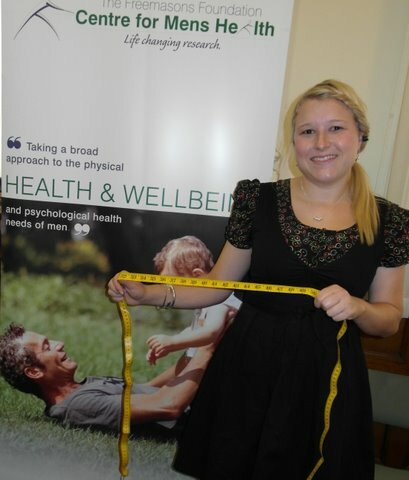 Nicole’s studies therefore examined the role of male obesity on reproductive health and outcomes, first in terms of reducing the quality of the sperm and therefore the likelihood of successful fertilisation leading to pregnancy and secondly, by affecting the health of the developing foetus and subsequent offspring. From this, Nicole used a mouse model of diet induced obesity, developed by the Gamete and Embryo Biology Group, to show that diet and/or exercise interventions in obese mice improved all aspects of sperm health (motility, morphology, cell metabolism and DNA integrity). Nicole’s findings have already impacted on male screening and intervention programs, previously only offered to females, at fertility clinics including Repromed and Monash IVF. Nicole will now extend her research into human studies. This entry was posted in News and tagged award, diet and exercise, men's health, PhD, pregnancy, reproductive health. Bookmark the permalink.